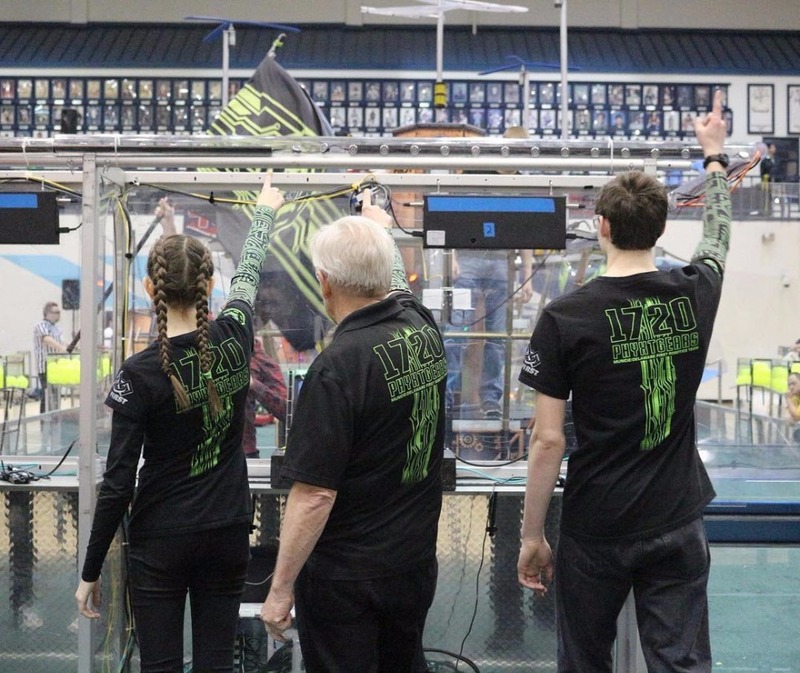 Fundraiser by Julia Schlenker : Muncie, IN Robotics Victory Tour! Muncie, IN Robotics Victory Tour! The PhyXTGears has earned a place in the world championships, which is wonderful news, but we need your financial help to pay our fees for our victory tour. Muncie Robotics, known as The PhyXTGears, is a non-profit organization and your donation can be tax exempt if you choose! 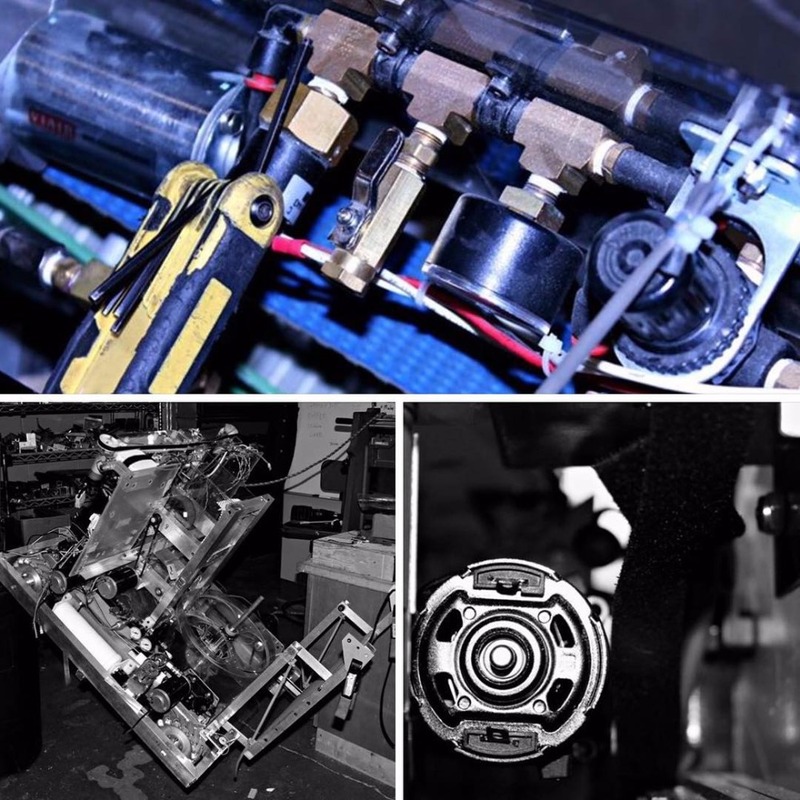 PhyXTGears is a FIRST Robotics team located in Delaware County. It is a high school team that occasionally allows dedicated middle school students to join. Every year in January, we are given a challenge/game in which the students have six weeks to create a fully functioning robot that has the ability to compete in the game with and against other teams. 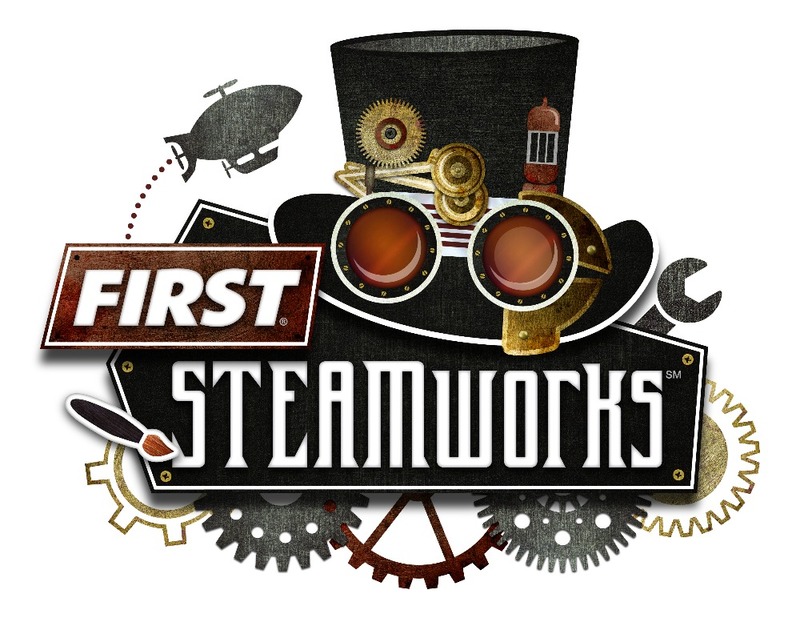 This year’s game is a steampunk theme in which robots must deliver fuel (hollow balls) into a boiler (a boiler-shaped structure), deliver plastic gears into an airship structure in the middle of the playing field, and climb a rope about three feet into the air. Why was this GoFundMe Page created? 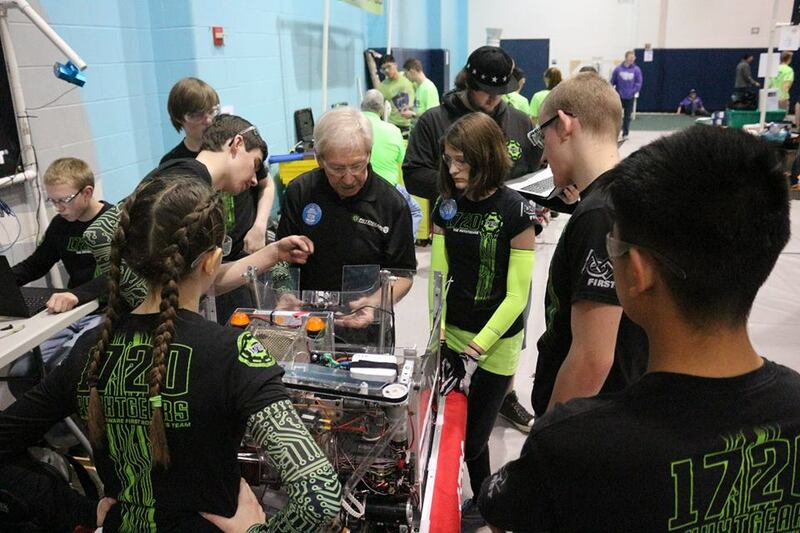 The team competed in two district competitions in March and the Indiana State Championship competition in April. At the state championship event, we finished as a finalist team and ranked the number one team in Indiana. This earned us a spot in the World Championship in St. Louis. We also won the Innovation in Control Award. At the St. Joseph district event, we ranked 4th in the Qualification Matches and made it to the Semifinals as our alliance's captain! At the Perry Meridian district event, we ranked fourth in the Qualification Matches again. We were selected by the top seeded team to form an alliance with one other team. We won second place! Building a robot and competing at events is expensive. Each competition costs around $4,000-$5,000 in registration fees alone! We also have invested $8,000 in designing, prototyping and building our robot, Spitfire, this year. Our team and Spitfire have competed well thus far. 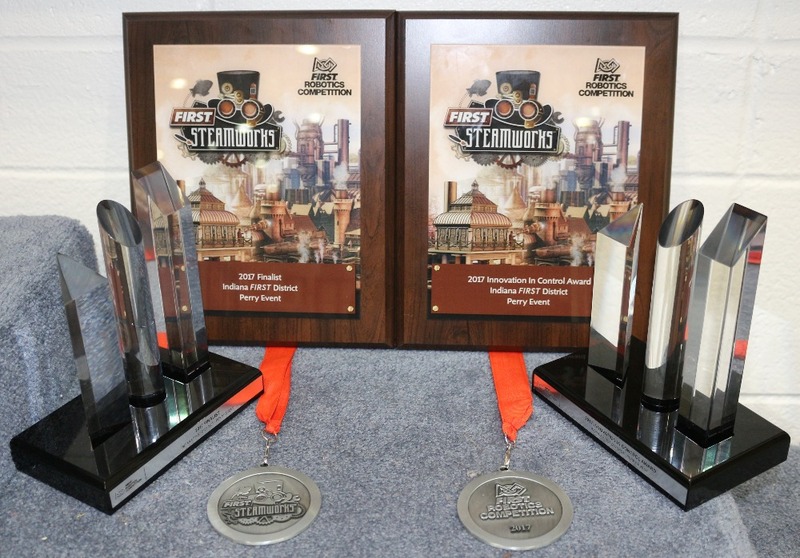 (Look at our awards below.) We have performed well enough to qualify for the World's event which is held April 26-29th, in St. Louis, MO, by being one of the best Indiana teams. To register for each of these events and cover team expenses requires a lot of money that we don't currently have, so we need your help! What has PhyXTGears done for the community? 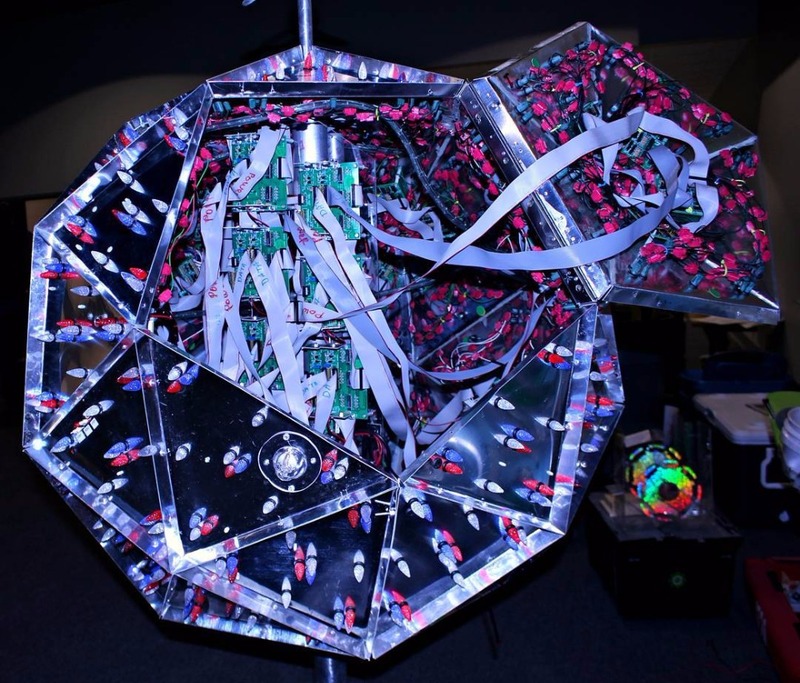 PhyXTGears created the New Year's Eve Ball that was used for many years in Downtown Muncie. When it was first created, it was more complex than the New Year's Eve Ball in New York was at that time! The New Years Eve Ball was used by the Muncie Civic Theatre in 2016 to raise money for youth and adults with mental challenges and disabilities. This past year we created promotional material for Hillcroft Services and also held EV3 workshops for elementary and middle school students, as well as helped out with two local FIRST LEGO League teams. This fall, our team help provide WiFi access to our new neighbors at MadJax Makers Force and brought the traditional Santa back to the Muncie Cintas truck. In the past, the team helped clean and maintain the Cardinal Greenway, provided entertainment for events such as YART sale, Movie Night at the Canan Commons, Minnetrista, and the FamFest hosted by Meridian Health Services, and created specialized tool desks for the Muncie Sanitary District. The team has done many community service projects in the past and plans on doing many more! Why is PhyXTGears important to the students on the team? Many students that come to our team come onto the team as very shy kids. Those shy students later graduate from the team having been taught how to teach other students how to do things like program, marketing, and of course building a robot. They also graduate having learned how to speak professionally in front of judges, their peers, business owners, and mentors from other teams. PhyXTGears is a family friendly team. One senior on the team, Asher Cougill, stated "PhyXTGears has become a family to me, even the students who are new and I don't quite know yet, I still feel as though they are a part of my family." The team has built confidence and taught essential skills for the students' futures. Another one of our seniors, Ashley Martin, added, "This team has helped me learn a whole set of skills that I would not have learned anywhere else. It has helped me become the best person that I can be. It has prepared me for my future and even helped me choose what career path I plan to go into." There is a multitude of amazing testimonies like these from the students, parents, mentors, and alumni. Ask any of these cool people about what PhyXTGears has done for them! Thank you for any donation you are able to contribute! We are very excited to have competed so well at the state competition that we earned an invitation to the World Competitions in St. Louis! We are already making lodging, transportation and food arangements, but we need your help! We qualified for the World Championship competition! Please help us get there! Read what Corn Fed Stats said about us (1720)! I just found out that our final alliance at the Perry Meridian District Competition (Teams 71, 1720 & 1529) was second in the WORLD with the number of matches that scored more than 400 points. We had five matches that achieved this. Only one alliance achieved six. My donation is in memory of Paul Errington. He was one of the original PhyXTGears mentors. You've come a long way from those early days. He would be very proud of your accomplishments. Good luck in St. Louis! Shawn VanNess, Jessica and Emily VanNess are relatives of ours. Good luck! !